This song might have the greatest guitar solo ever put down on vinyl. If you were to look at any web posts, magazines or other forms of media about the greatest guitar solo’s ever you will not find this song on any of them. I wish that I could tell you why, maybe because it is not well known. Brian Eno’s style of music doesn’t create such a stir within the music industry. Maybe because his music has always been more advanced then the times. This song has never got the publicity that it desires for it’s guitar solo but maybe it’s time we try to change that. 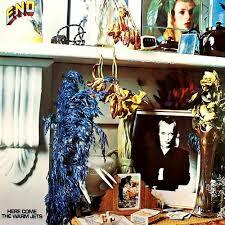 “Here Come the Warm Jets”, is the debut album by Brian Eno. Produced by Eno himself and released on Island Records in 1974. Eno’s music style has been described as experimental rock, glam rock, electronic well as art rock. “Baby’s on Fire” is the third track off of the record. Eno has always had his own style and as the song starts off with a very distinct drum symbol sound used for the beat through out. Eno begins singing “Baby’s on fire, you better throw her in the water, look at her laughing, like a heifer to the slaughter” you know that Eno’s world of music is awaiting you. At around the 1:25 mark Robert Fripp’s of King Crimson fame begins belting out his roughly 3 minute guitar solo. With the distinct drum symbols keeping the beat moving through out the whole solo you are amazed as to how the guitar solo keeps in engaged in the song. There is no repeating licks over and over but a guitar god playing at his best. At the end of the 3 minute attack, Eno begins singing again and you take in the solo you had just heard. Mind blowing? Why has nobody ever talked about this guitar solo? If you like songs that have killer guitar solos then this song is for you. So the next time you see one of those “greatest guitar solos ever” surveys put in a vote for Baby’s on Fire and Robert Fripp. This entry was posted in Babies On Fire, Brian Eno, Classic Rock, Forgotten Rock Classics, Forgotten Songs, Music, Robert Fripp, Rock Band and tagged Babies On Fire, Brian Eno, Classic Rock, CS5711, Forgotten Rock Classics, Forgotten Songs, Music, Record, Robert Fripp, Rock Music, Song. Bookmark the permalink. Not sure of the meaning, but heard it was inspired by a war victim child being photographed instead of saved? Juanita the meaning you state makes since. I must say you are the first person that I have ever heard of named after a Eno song. You always here about kids named after people from the Beatles, Stones and on. Tony thanks for informing all of us that it was Paul. I know there was always disputes on which one of them did it. I will have to check out more of Paul Rudolph’s work. In Trouser Press’s 1978 survey of the 100 Greatest Rock Guitarists , they called Fripp’s solo on Baby’s on Fire “ “the most whithering solo of all- time.” 40 years later, it still is. That comment made me by my first copy of the record. DCW and Yuri. I would call this a really great way to start off your musical trip. This song will never be forgotten in CB’s world. What a great tune. What a great album. (CB will be doing a bit on this record) Yeah, Fripp’s guitar is wild. He’ll get a vote from me on this. Maybe the title scared people off, who knows. I know one thing for sure, CB dug it big time. Like I said, good opening tune to start your journey. ( Now I have to go and listen to the whole record, ‘On Some Faraway Beach’ was another all time fave tune). Great post on a song that deserves to be more broadly known; I myself have included this one on quite a few guitar-heavy mix tapes for friends. As you say, Fripp’s extended solo is a real monster, all rawness and in-the-red energy! Thank you for your kind words. I might have to pull out my Robin Trower (Victims of the Fury) album now since it has been so long since I listened to that masterpiece. I have loved this song since 75. Also check out the 801 live version, itsmy favorite! Carl I just listened to the 801 version as you suggested. Love how he gives the tune a totally different sound but it still rocks out like the original version. Thanks for the lead on the great version of a forgotten classic. Denielle I’m glad to bring back those old memories and it sounds like your dad had a great ear for music. I hope you will stay tuned and hopefully hear more of these old time classics that your dad used to play. 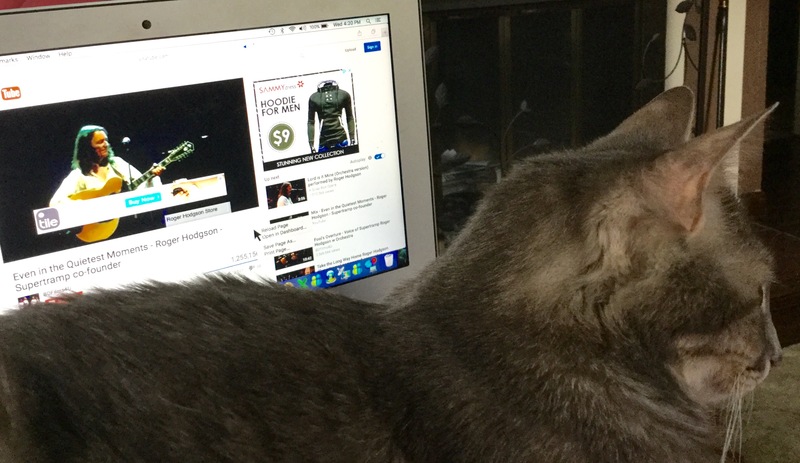 Wow, this blog is great! I grew up listening to old rock classics with my dad. Brings back great memories of late nights listening to off the wall rock songs of the 1960’s-70’s. Looking forward to more posts!